Kent will also discuss the comprehensive self-directed IRA/401(k) educational Wealth Building Workshop that will provide useful tools, resources, and insight into the methods used by Equity Trust clients. 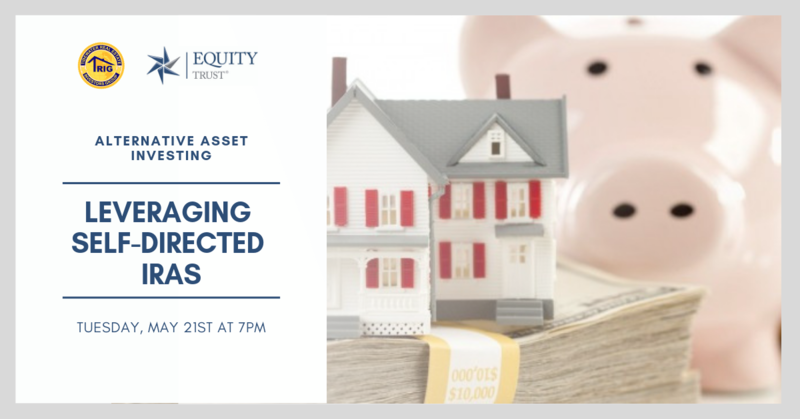 The tactics discussed will demonstrate methods to potentially eliminate capital gains tax and ordinary income taxes within your real estate and or alternative investment assets through tax-advantaged retirement accounts. Attendees will have the opportunity to leave this training with the knowledge and guidance to formulate and implement alternative investing in their financial plan. ** Please note: Early bird pricing is available until April 27th. Buy one ticket for $47, bring a guest for $27. Kent Kinzer, Business Development Sr. 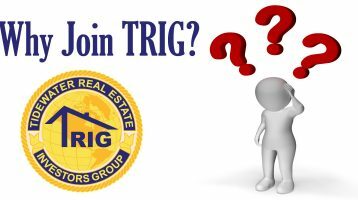 Manager for Equity Trust, provides educational resources to real estate and alternative asset investors. Through years of experience working with self-directed IRA investors and holding positions in contracting, operations and building management, Kent has developed an educational curriculum that delves deep into the lesser-known aspects of IRA investment techniques. Kent, along with the entire Business Development team, has taken Equity Trust to over $30 billion in plan assets. Additionally, Kent heads up REIA relationships and developed the National REIA sponsorship program for Equity Trust. He is a frequent guest speaker at real estate investing seminars and expos across the country. Equity Trust is a financial services company, headquartered in Cleveland, Ohio that enables individual investors to diversify investment portfolios through alternative asset classes, including real estate, tax liens, private equity and precious metals. Our tax-advantaged, self-directed investment accounts appeal to entrepreneurial investors who want to take control of their wealth. We offer clients a robust account management system and wealth-building education, which enable them to grow their knowledge and complete transactions with ease. Visit http://www.TrustETC.com for more information.